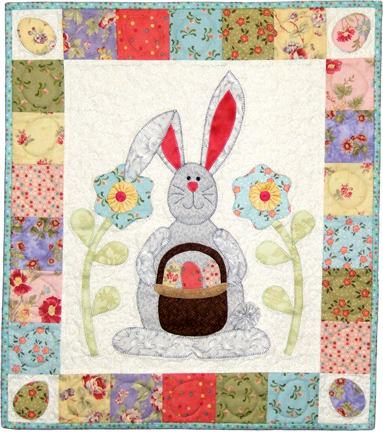 This very cute rabbit wall hanging can be made as an Easter hanging with eggs in the basket or for all year around with a flower in the basket making it a very versatile wall hanging. Yo Yos and buttons are added embellishments finishing this quick and easy project. Made using the fusible appliqué this pattern includes full sized patterns and is a great project to start building your quilting skills as it is suitable for all skill levels.